After having a hard time finding cool and affordable clothing for her plus size body, actress, comedian and now designer Rebel Wilson, is launching a plus size clothing line called “Rebel Wilson x Angels” that will available next month. 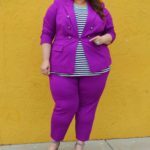 This is not the first time that Rebel dabble with fashion, in 2015, she did a 25-piece Holiday Collection in collaboration with plus size retailer Torrid. 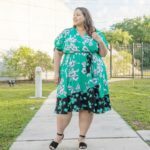 It is no secret that women of a certain size have a hard time finding stylish clothing to wear and that high-end clothing designers don’t make plus size clothing. In an interview with In Style Rebel said: “I was a young woman making money, and there were no clothes to buy”, she also added: “It felt like if you were over a certain size, designers didn’t care about you”. 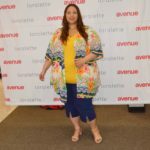 For now, the collection includes graphic tees, dresses, bomber jackets and jeans, in sizes 14 to 24. The prices of the items range from $49 to $298 dollars and it will be available at Nordstrom, Lord & Taylor, Dillard’s, Dia & Co, Addition Elle in Canada and on their website at www.rebelwilsonxangels.com. Follow the hashtags #Rebelwilsonxangels, #stylehasnosize and #GetyourRebelon on social media for more information.